BÉDARD, THOMAS-LAURENT, priest, professor, bursar, and superior of the Séminaire de Québec; b. 3 Feb. 1747 at Charlesbourg (Que. 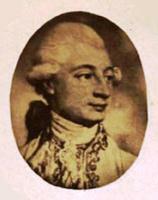 ), son of Thomas Bédard and Marie-Angélique Fiset; d. 27 May 1795 at Quebec. 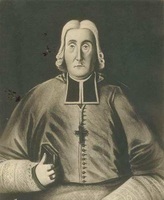 Thomas-Laurent Bédard studied at the Séminaire de Québec and was ordained priest by Bishop Briand on 23 Sept. 1775. His career was to be spent in the seminary. 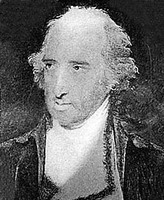 He had become a professor of philosophy and science in 1773, on 17 Oct. 1775 was received as a member of the community, and on 24 May 1776 joined the council. For a year he had the double task of director of the Petit Séminaire and prefect of studies; then on 17 Aug. 1778 he was elected first assistant to the superior, Henri-François Gravé* de La Rive, and was put in charge of the bursar’s office. As bursar Bédard had in particular to supervise the building of two rest houses which the seminary had decided in 1777 to put at the disposal of its students: one called Bellevue at Saint-Joachim “on the Fortin hill [Petit-Cap],” and the other called La Canardière (now named Maizerets). He also helped to prepare the document for recognition of suzerainty and census for the fiefs and seigneuries of Côte-de-Beaupré, Île-aux-Coudres, Sault-au-Matelot, Coulonges, Saint-Michel, and Île-Jésus, which was presented by Gravé to Governor Haldimand on 11 July 1782. Bédard’s colleagues showed their confidence in him by choosing him as their superior on 13 Aug. 1781. It was the second time a Canadian had been appointed to this office [see Jean-François Hubert]. 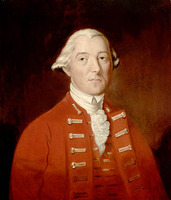 Bédard held the office for two terms, resuming his duties as bursar in 1787. 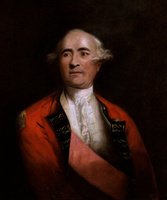 He served as treasurer in a subscription organized to aid the Hôtel-Dieu after the departure of the British soldiers who had been quartered in it from 1759 to 1784 [see Marie-Louise Curot, dite de Saint-Martin]. “The purpose of this subscription,” as a heading for his book of receipts and expenses indicated, was “to create a fund to obtain medicines, restore in the Hôtel-Dieu the rooms for the poor occupied up till now by the king’s troops, and help it to begin again the charitable works which are the object of its rule.” This collection among the clergy and citizens of Quebec, inaugurated in March 1784 under the honorary presidency of Lieutenant Governor Henry Hamilton, continued until 15 June 1787 and brought in about £618. 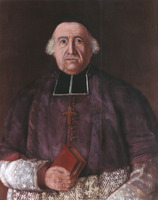 From 1790 to 1793, while retaining his office as bursar, Abbé Bédard taught dogmatic theology at the Grand Séminaire. Just prior to the passing of the Constitutional Act, he again had occasion to attract public attention. The loyalists who had come to the province were at that time stepping up their campaign against the seigneurial system of land tenure. On 10 Oct. 1790 a special committee established within the Legislative Council to study the question came out in favour of free and common socage, the method of land granting practised in British colonies, and it supported its conclusions with a petition submitted to Lord Dorchester [Guy Carleton*] in 1788 by Charles-Louis Tarieu* de Lanaudière, seigneur of Sainte-Anne-de-la-Pérade. Abbé Bédard felt he ought to intervene, and on 11 Feb. 1791 he sent the governor a heavily documented memoir entitled “Observations sur le projet du changement de tenure.” After pointing out numerous errors and inaccuracies in Lanaudière’s text, Bédard concluded that the disappearance of the seigneurial régime would in the short run ruin the seigneurs by depriving them of their banal rights and lods et ventes and in the long run ruin the habitants by removing any possibility of their obtaining land for themselves and their children at little cost. On 10 March a petition signed by Abbé Gravé de La Rive, superior of the Séminaire de Québec, and 59 other Canadian seigneurs similarly affirmed that a change in tenure could only be detrimental to the working class. These interventions were probably not unrelated to the imperial government’s decision to maintain the seigneurial régime in Lower Canada. On 14 Aug. 1793 Thomas-Laurent Bédard was elected superior for a third term but he did not live to complete it. On 5 May 1795 he was admitted to the Hôpital Général, and he died there on the 27th at the age of only 48 years. He was buried the next day in the chapel of the Séminaire de Québec. AHGQ, Hôpital, Registre des prêtres malades, no.50. Archives paroissiales, Saint-Charles-Borromée (Charlesbourg, Qué. ), Registre des baptêmes, mariages et sépultures, 3 févr. 1747. ASQ, mss, 12, ff.44, 46–53; mss, 437, f.35; mss-m, 122, 251, 726; Polygraphie, XXVIII, 7b; S, Carton 11, nos.1, 1A, 13; S-184A; Séminaire, 33, no.43. PAC, MG 11, [CO 42], Q, 48/1, pp.5ff. ; 51/2, pp.4ff., 506–35. Quebec Gazette, 24, 31 March, 7, 28 April 1791. Tanguay, Dictionnaire, II, 184; Répertoire, 141. Ivanhoë Caron La colonisation de la province de Québec (2v., Québec, 1923–27), I, 141–42. Casgrain, Hist. de l’Hôtel-Dieu de Québec, 470. A.-H. Gosselin, L’Église du Canada après la Conquête, II. Maurice Séguin, “Le régime seigneurial au pays de Québec, 1760–1854,” RHAF, I (1947–48), 382–402. Noël Baillargeon, “BÉDARD, THOMAS-LAURENT,” in Dictionary of Canadian Biography, vol. 4, University of Toronto/Université Laval, 2003–, accessed April 24, 2019, http://www.biographi.ca/en/bio/bedard_thomas_laurent_4E.html.